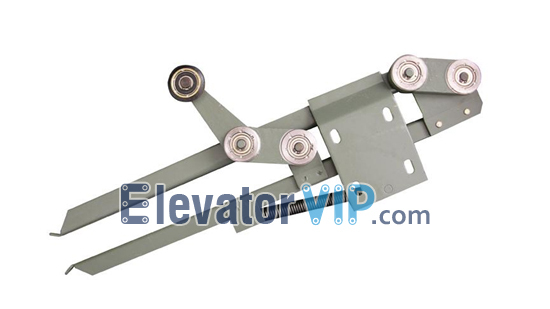 There is an important part in elevator equipment called elevator door cam, which can improve the safety coefficient of elevator door, effectively guarantee the safety of passenger and passenger, flexible response and effective operation. It is one of the important elevator safety parts. Elevator door cam function: Elevator door cam is a mechanism responsible for opening and closing the car door of elevator hall. When it receives the signal of elevator opening and closing, the elevator door machine controls the door motor through its own control system, turning the torque generated by the motor into a force in a specific direction, and closing or opening the door. When the closing force of the door is greater than 150N, the door machine will automatically stop closing the door and reverse open the door to play a certain degree of closing protection.